Take a trip out to the vast expanse of desert landscape in beautiful west Texas for this all levels 90 minute yoga class led by Adriene and her 4 legged yoga assistant Benji. 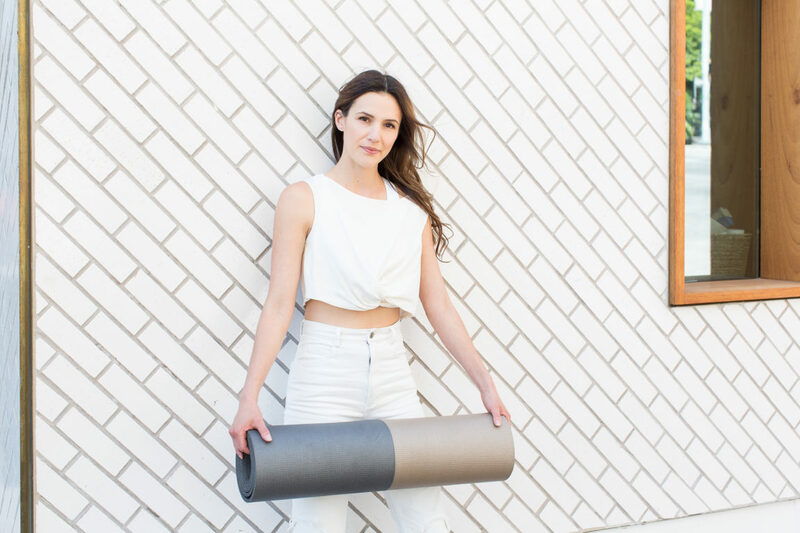 In this kind yoga flow, you’re invited to embrace the vibe of Marfa and…s l o w d o w n.
Tend to your most important relationship! Your relationship with yourself determines the quality of all of your relationships. Give yourself 90 minutes to move, breathe, and move like you love yourself. Tap into your creative energy to find clarity and set yourself up for greatness. Practicing self love is not a trend. It is your birthright. This class takes place and is filmed at the second annual Cherry on Top event. This event is a gathering of innovation, imagination, and creativity where Adriene leads as director of the Wellness committee. Hi. I have been following through your dedicate 30 day yoga journey and haven’t missed a session. This is astonishing considering I’m a wife and mother of 3, officer of a dog rescue, leader for my daughters girl scout troop and a full time nurse practitioner working 40+ hours. Not saying those things to pat myself on the back, but as a testament to you. You’re real. You’re fun. Its not one size fits all. I’ve always loved yoga. But with all my responsibilities and my full life I haven’t been able to incorporate yoga in the way most practices require. I usually practice with a dog on my mat, or licking my face while I’m in corpse pose. Or a child yelling about needing something. Or my 5 year old showing me out about how much more flexible she is. But your practice allows this realness. I thank you for that. You allow life to come to the mat. I do have a question. In the last few years I’ve had issues w low back pain. I’ve seen a medical professional and there’s nothing medically worrisome but I do have a mild bulging disc. I struggle with the transition into forward folds (which I love once I’m there) and the bending straight forward into upward downward dog…the process of getting to point A to point B is painful. Once I’m there I’m good. In order to do it without discomfort I have to bend knees and hunch to get pressure off my lower back to get into the pose. I want to do it right but also know if it hurts I probably shouldn’t be doing it. Any tips? I hope u have more journeys bc I do love knowing I have a class waiting for me when I get home. My cousin/best friend and I have found emmense joy, connection and piece through your yoga instruction! She recently moved to Utah and I am in a Georgia so your videos are one thing that keeps us connected and I could not be more greatful for that. This may seem like a strange request… but she is getting married and I am planning her bachelorette party and first thing Saturday morning we are doing a yoga with Adriene video! Your videos have been such a sense of strength for her. Moving so far away from our family to a city where she knows no one but her fiancé defiantly took its toll but your videos kept her balanced, joyful and grounded so thank you. I know it would mean the world to her if I was able to get a shout out from you to her for that morning! Even if we don’t here from you the sessions you provide lead us toward wellness and happiness so thank you so much for taking your life to help others like us!